Finding a bike rack may seem like an easy task. However, there are many options in the market today, which can make your decision difficult. Most bike racks come in different models and sizes. A hitch mount rack is the best solution for someone who is looking for a bike rack which requires less time and energy to load and offload. When buying a hitch mount bike rack, you will need to be sure the fit is right for your vehicle. The hitch mount racks, depending on their design, can be able to carry up to five bikes. 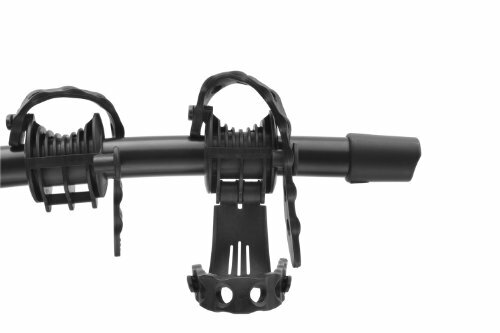 Previously we had reviewed Thule T2 vs Yakima Holdup. But in this post, we evaluated two best hitch racks on the market and compared their features and usage. These are the Yakima Ridgeback 4 and the Thule Vertex. These bike racks are sturdy and durable. Especially If you are planning on a family trip with many bikes to carry, these two options will suit your needs the best. Review the information below to see the winner of the Yakima Ridgeback 4 vs Thule Vertex comparison. One of the key features that will attract you in this model of bike rack is its ability to carry up to 4 bikes simultaneously. This will be beneficial if you have a number of bikes that you are transporting for your bike trip. To be among the best hitch mount bikes the designer of the rack must ensure the design is of high quality. 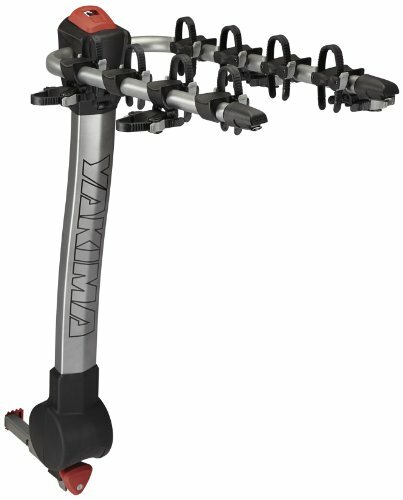 The designer of the Yakima Ridge Back 4 ensured this by making the bike rack with steel material that makes it strong and durable. The rack has also bike clips that are made of strong plastic that ensures loading and offloading of your bike is effortless. This bike is purchased fully assembled, which saves you the hassle of reading thru instructions and locating tools to construct your bike rack. Have you gotten tired of your bike rack blocking your access to the rear of your vehicle? Then the Thule Vertex 4 bike rack is the hitch rack for you. This bike rack features a swing away feature that allows one to move away the rack from the rear of your vehicle. This feature works whether your bike rack is fully loaded with bikes or not. This model features a built-in lock that allows the user to fully secure your bikes to the rack. Worries about security of your bikes can be eliminated, as the lock uses a one key system that will give you a feeling of security. The cradles of the Thule Vertex hitch bike rack are stylish. The cradle holds the bikes when loading and they provide a secure and firm grip to the bikes during transport. The cradles are well cushioned to ensure that your bike is not damaged by the handle arms when they contact the bikes. Want to go for biking with your whole family? The Thule Vertex 4 Bike Rack gives you the luxury of carrying up to four bikes at time without the fear that there would be damage to your bikes that would cause malfunctioning. The racks compatibility to both the 1.25” and the 2” hitch receivers makes it suitable to any kind of vehicle you have. Tilts away for easier access to the back of the vehicle. Notably these products have a couple of similarities. The table below compares the key features of the two products. For more Thule vs Yakima Comparison see here. The best hitch bike racks are the ones that are easy to load and are durable which makes the Yakima Ridgeback 4 hitch bike rack the best choice. It contains many desirable features that you will need in a bike rack. Its capability to tilt away even when it’s loaded makes is a strong choice over the Thule Vertex 4 bike rack. It also comes fully assembled from the box and saves you from reading the complex instructions that the Thule Vertex 4 comes with. Security is key when one wants to buy a bike rack and the Yakima Ridgeback happens to be the best in securing both the bikes and the rack to the vehicle. It has a two key lock hole that helps curb someone from stealing or loosening it. This rack also folds up, which gives you a unit that can become compact and won’t take up much space when not in use. It is also be able to accommodate all the types of bikes you may need to transport. Get Yakima Ridgeback 4 Bike Back and purchase a budget friendly bike rack that will meet your needs for years to come!